The Ontario Cycling Association [OCA] and Cycle Sport Management [CSM] are thrilled to announce that the Steve Bauer Classic presented by St. Davids Hydroponics will be the location of the 2019 Ontario Road Provincial Championships on Saturday, May 18th, 2019. The Niagara Classic was originally held by the St. Catharines Cycling Club in 1984. In 2016, the Classic was renamed to the Steve Bauer Classic by request from the club to honour the accomplishments of Steve Bauer, a native of St. Catharines and life member of the club. 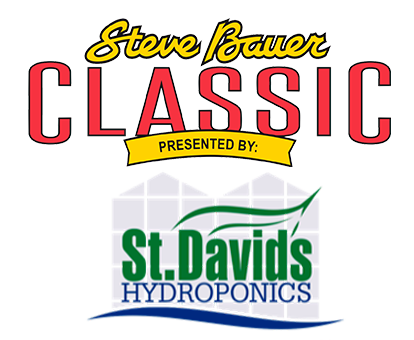 St. Davids Hydroponics has been a leading sponsor and supporter of the Classic since that transition. The St. Catharines Cycling club continues to be a valuable contributor to the race’s success. The Steve Bauer Classic/Niagara Classic is a staple in Ontario road racing and has become a must in riders’ calendars. There have been several well-known road racers who have won the classic over the years: Steve Bauer, Gervais Rioux, Erik Wohlberg, Ryan Roth, Ed Veal, Bruce Bird, Karen Strong, Leah Kirchmann, Sue Palmer, Candice Moote, Suzie Brown, to name several. We look forward to seeing everyone at the 2019 Ontario Road Provincial Championships! Full event details to come in the following weeks. Please follow @ontariocycling on Twitter, Facebook and Instagram for updated information. More information also available at @SBauerClassic.